payroll, cost accounting, stock accounting, etc. verification of cards for blank column and double punch detection. Blueprint plant - production and accounting and invoicing. Utilities (water districts) - billing, accounting, stock inventory. etc. - error of closure and areas. Geodetic triangulation matrix (simultaneous equations). Principal and interest on 10-year coupon bonds, unit bids. for Aviation Div.) (trendline data) etc. Harvey Aluminum Sales, Inc., Defense Plants Div. and orders (extending and discounting). for calculating cosine and sine. Checking is possible through control panel wiring. Power, computer	230 Volts	19,000 B.T.U. Exhaust fan and hood vented to outside through window. Delivery on an availability basis. Service time averages 70 hours per month. 604, 521, and 407 rent at $1,491/month. 604 and 521 cost $26,000. Service contract contained in rental charges. and 2-056 cost $40,000. Maintenance service is $400/month. Method of training used is on-the-job training. Operation tends toward closed shop (civil service). on job, and evening extension courses. Operators are trained by supervisors. Above figures based on period from 1956 to present. US NOTS Time is available for rent to outside organizations. equipment more than 8 hours per day. can be punched in specially designated cards. sections: power, timing, arithmetic, storage and switching. which facilitate rapid maintenance and service. Poughkeepsie, New York, since early 1949. Bankers Life Double punch, blank column detection on the 521.
costing, utilities, etc. in about 18 months. calculations (cut and fill), least squares adjustments, etc. Contemplate use of aperture film cards for maps. 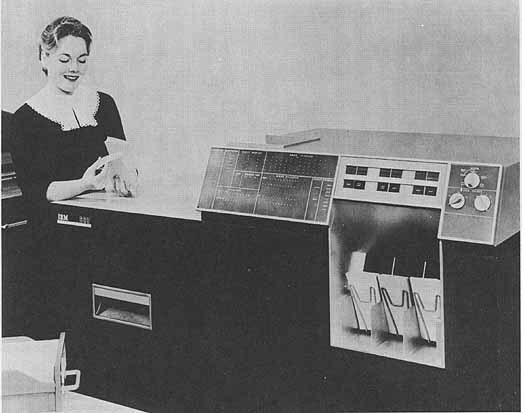 IBM Type 1401 Card Input on order. Bankers Life Insurance Company of Nebraska Cotner & "0"
Manufacturer Business and scientific calculating. Total	storage is 37 words or 293 decimal digits. Total	storage is 14 words or 66 decimal. digits. Check	possible through control panel wiring. 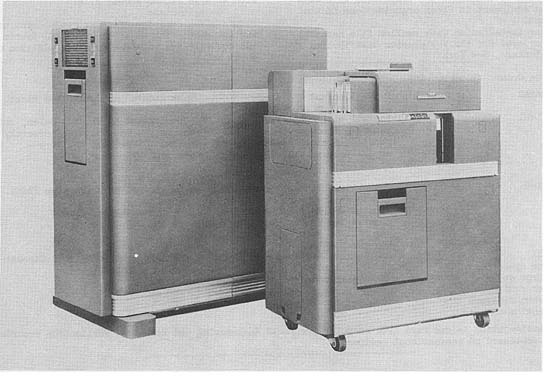 523, 1-IBM 557, and 1-IHM 407). Maintenance/service is included in rental contract. equipment. No special handling is required. Methods of training used are in-house plus IBM training. 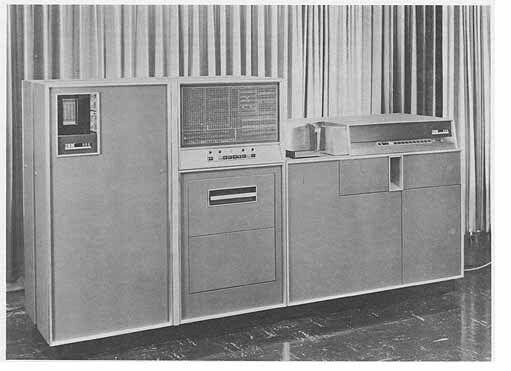 14,000 computing operations a minute. as well as original data in solving problems. 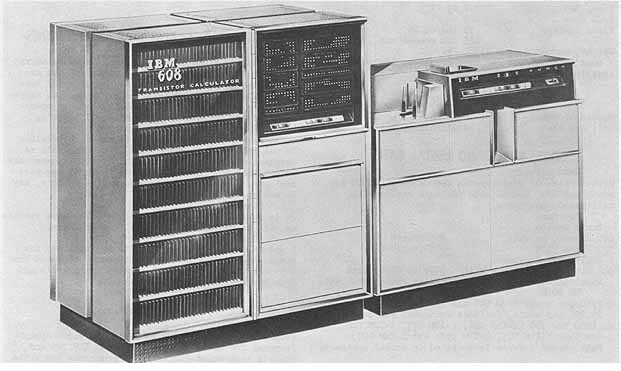 from the Station's IBM 709 system. Checking possible through control panel wiring. applications, operates without the use of a single vacuum tube. printed wiring panels in the 608.
and recall it for use in calculations in a few millionth of  a second. combining transistors, printed circuits and other forms of miniaturization. Read words	Max. - 144 pos. Punch words	Max. - 96 pos. Process words	max. - 144 pos. quantity 1,354, nineteen different values. and output (double-punched blank-column) are checked. are considered as being in the arithmetic functions. IBM Education Centers and at some local branch offices. Modular standard packaging and solid state hardware. word addressable, and high speed reading and punching. Photo by E. I. DuPont de Nemours and Company, Inc. Branch, Structures Branch and Propulsion Branch. differential equations which must be solved numerically. kinetics, thermodynamics and some structure work. development, quality control, research and development. Engineering and scientific uses only. diagram, curve fitting of experimental data, and numerical analysis. independent study, and faculty research. their problems on the computer. results can be punched and read back. display of all machine registers. contents. Decimal point and sign displayed. programming of large problems intricate. temperature range, 95% maximum humidity. Installed a separate 120V, 60 cycle, 30 amp line. power supply wiring. Heat removal blower. Separate 20 ampere, 117 volt service. 60 cycle - single phase20 ampere electrical line. U of Louisville No special preparation was required. redecorating, one special power circuit, regular electrical outlets. System has been dropped and is no longer available. $1,150 per month for all 610 equipment. $1,283 per month for basic system. Remington Rand Synchro Tape is rented for $142/mo. 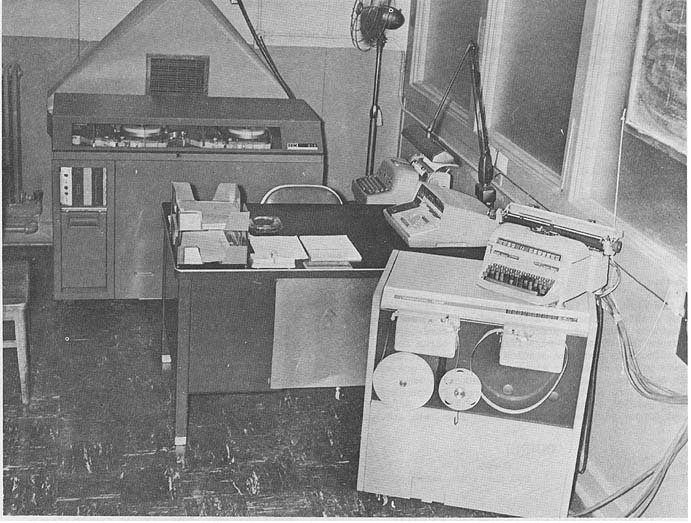 including console, keyboard, and typewriter. The off-line punch rents at $125 per month. Approximately $1,100 per month is paid. $460 monthly (basic system costs about $50,000). Maintenance is included in rental. rent at $500 per month. needed basis. No full time personnel assigned or needed. One Theoretical Physicist (BA) does all programming, etc. Methods of training used includes classroom instruction. criteria and further training was on-the-job in nature. There is no one person designated in a supervisory capacity for the 610.
is periodically used by about six or eight more. Four engineers use the system. IBM conducted 2 day class for training - this included "hands-on"
do their own programming and operating. computer one day training and experience. operation tends toward open shop (exclusively). training is included in several regular academic courses. computer has been down for repair less than 5% of time in past year. record. The time availability has in general been based on a 40 hour week. Down time is sporadic and for the most part insignificant. General Tire Time is not available for rent to outside organizations. to justify moving the computer to an unclassified area. U of Louisville Time is available for rent to outside organizations. and two for class marks (for operating use). USA TRC Outstanding feature is ease of programming. calculations, good reliability, and ease of programming. programming, and programming in engineering language. 0.67 sec., and sine (cosine) at least 20 sec. command structure) and use as desk computer. of decimal point and simplicity in coding. simplicity in learning to use it, and minimum personnel requirements. engineering departments. For large scale digital computing applications W.
has limited access to the MIT Computation Center. and computing times (input of 180 char/sec and access time of 20 microsec). 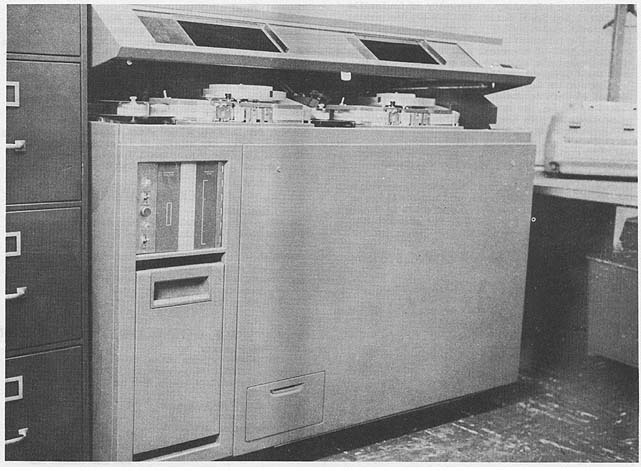 rental of the IBM 1620 will be approximately $1,600 per month. future. Present plans are indefinite. analysis of experimental data. Continued use in this field is anticipated. or acquisition of a new system. U. S. Naval Academy, Weapons Dept., Annapolis, Md. Lockheed Electronics Co., Military Systems Div., U.S. Highway No. may then be further processed in an accounting system. 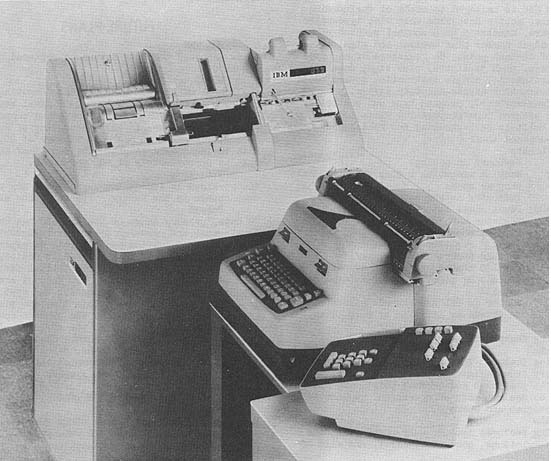 1 buffer register and 1 companion keyboard is used. Maintenance/service is included in all monthly rental prices. One operator is required per 8 hour shift. includes operator training at time of installation. makes the equipment compatible with most systems.